In this case, you provided a lot of words but not much in the way of information about what you are really doing. Open "Edit Video -Advanced" ; select 16 by 9 as the new project. 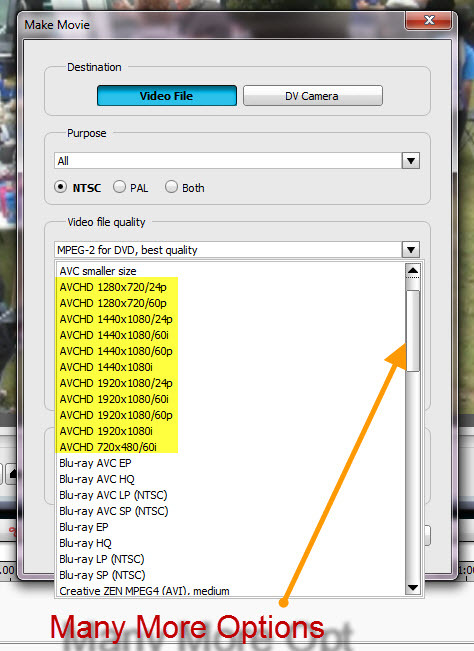 Add your (AVCHD) video file and do any editing that you want to. Go to the top menu, select output and then share. You can upload directly to you tube from there. I thnk the key here is that you may not have selected 16 by 9 for the project. Thanks so much, I thought that I was missing something simple. Yes, I have to take a minute to think when I switch to Power Director. You have to almost forget all you know about one whne you use the other or develop a split personality !